In his forward to the first edition of The Art of Kantha Embroidery (1981), Syed Zillur Rahman commended the book as the ‘first of its kind on the traditional arts of Bengal’. This revised second edition of The Art of Kantha Embroidery includes all the information contained in the first edition but also brings it up to date by including the rapid changes that have taken place n the kantha since its revival n the eighties. With the help of line drawings, black and white and colored photographs, the book documents kantha stitches, motifs, border patterns, articles and styles. 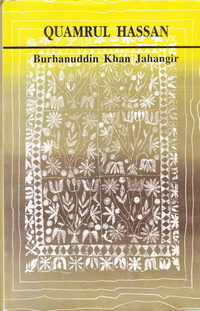 It provides a detailed analysis of the technique of kantha embroidery as well as a glimpse into the lives of the women of rural Bangladesh.